Clients notice Michael Robinson’s unique approach to his estate planning practice the minute they walk through his office doors. Mike has established a law practice that provides clients with a warm, comfortable and relaxed atmosphere staffed by professionals who believe in providing highly individualized attention. That’s especially important in Mike’s practice, because estate planning is an often personal process reflecting the most cherished hopes and dreams of his clients. Mike’s firm has the breadth of expertise to provide its clients with estate plans ranging from the basic to the very sophisticated, including offshore asset protection trusts. His office regularly conducts workshop on estate planning topics throughout the Rochester and Finger Lakes area. Mike has also been a guest speaker on the subject of estate planning before a variety of professional organizations. 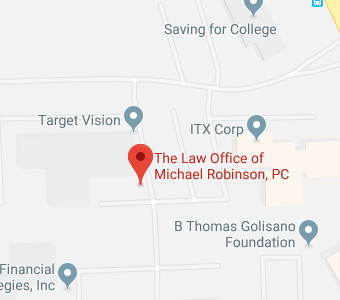 Michael Robinson opened his law practice in Naples, New York, in 1986. In addition to his active law practice, he has maintained an impressive schedule of activities in civic, legal and professional organizations. He is a member of the American Bar Association and the New York State Bar Association, and is a charter member of the American Academy of Estate Planning Attorneys, where he has served on the Board of Governors for seven years. Mike also is a member of the Monroe and Ontario County Bar Associations and the Estate Planning Council of Rochester. In 1996, he was appointed to the New York Bar Association’s Special Committee to Review the Code of Professional Responsibility. During his two terms on the Ontario County Board of Supervisors, Mike held several leadership positions. He is a past member of the board of directors for Wellness in Naples, Inc., and is past president of the board of directors of Countryside Child Care, Inc., a non-profit child care center. 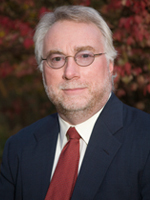 Michael Robinson obtained his Juris Doctor in 1985 from the Vermont Law School, where he was selected for the Law Review and taught legal research and writing courses to first-year students. He obtained his undergraduate degree in English from Hamilton College, where he translated Beowulf and Anglo-Saxon elegiac poems as an independent study project. Mike still has time to devote to his three children, and to pursue his hobbies. He is an avid skier and loves the outdoors, especially hiking, camping and fishing.